A multi-year, multi-channel campaign led by Bold Nebraska to stop the dangerous route of the TransCanada Pipeline over the sandhills of western Nebraska and the Ogallala Aquifer. 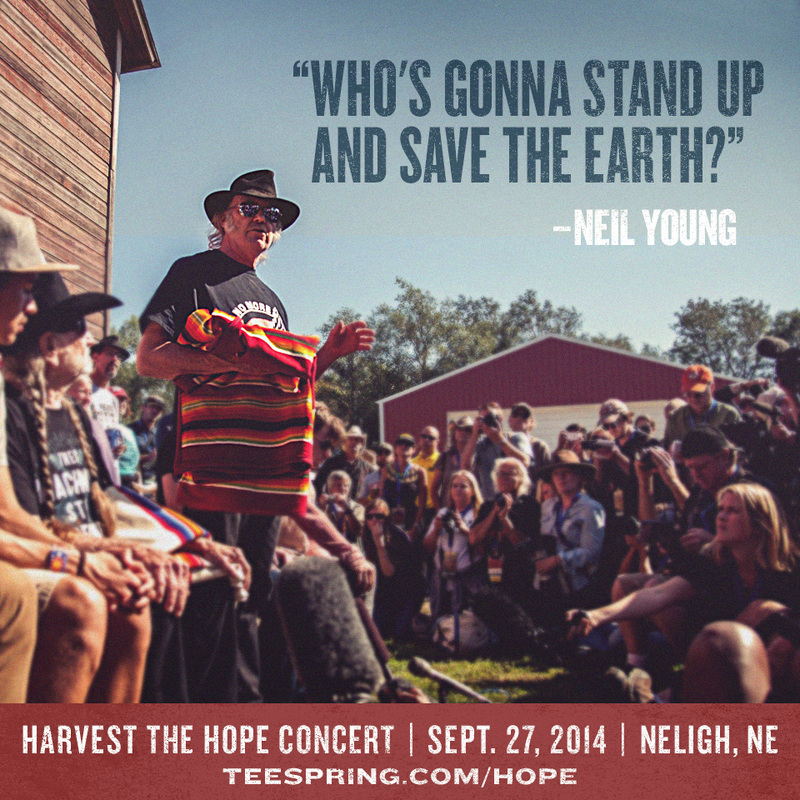 Two music legends — Neil Young and Willie Nelson — performed a benefit concert on September 27th on a farm near Neligh, Nebraska that is on the route of the proposed Keystone XL pipeline and also crosses the historic Ponca Tribe “Trail of Tears.” Over 8,000 people were in attendance. It was an epic day, to say the least. On April 22nd,2014, a group of ranchers, farmers and tribal communities from along the Keystone XL tarsands pipeline route, called the Cowboy and Indian Alliance, rode into Washington DC and set up camp near the White House to tell President Obama to reject the pipeline. More events have taken place in Nebraska and South Dakota since. 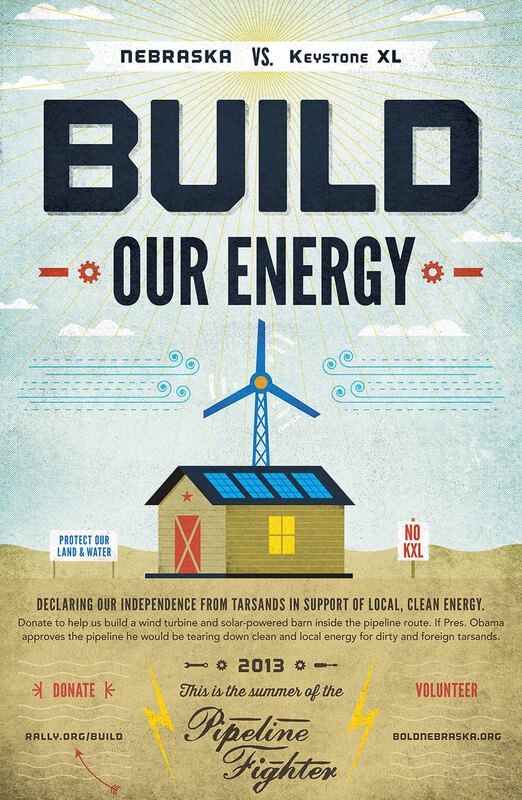 Summer 2013, the summer of the pipeline fighter, people gathered to build a solar-powered barn, equipped with wind turbine, right in the middle of the proposed route of the Keystone XL Pipeline. Over $65,000 was raised at Rally.org/Build. Dear President Obama asked people to pledge to send a letter to the President, then take a photo and post it to Instagram #nokxl. All Risk No Reward provided assets to interested press covering the issue. The following digital assets were pushed out on social media to help organize people online, centered around the Bold Nebraska Facebook page. A New York message about the Keystone XL Pipeline. With a coalition of farmers, ranchers, activists, artists, and everyone in between, the assumed inevitability of the pipeline has been squashed. Now we continue to fight for a complete denial of the route through the sensitive ecosystem of Nebraska. The story of neighbors standing up for the land and water against a greedy and arrogant corporation was recently covered by The New York Times Magazine. 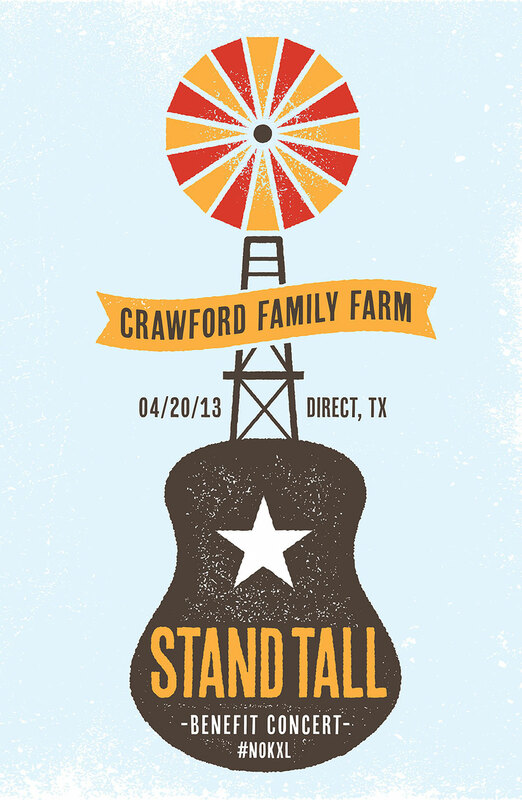 Share graphics for a variety of events and actions. Rallies, protests, marches, yard signs, t-shirts, banners, flags, patches and on and on.